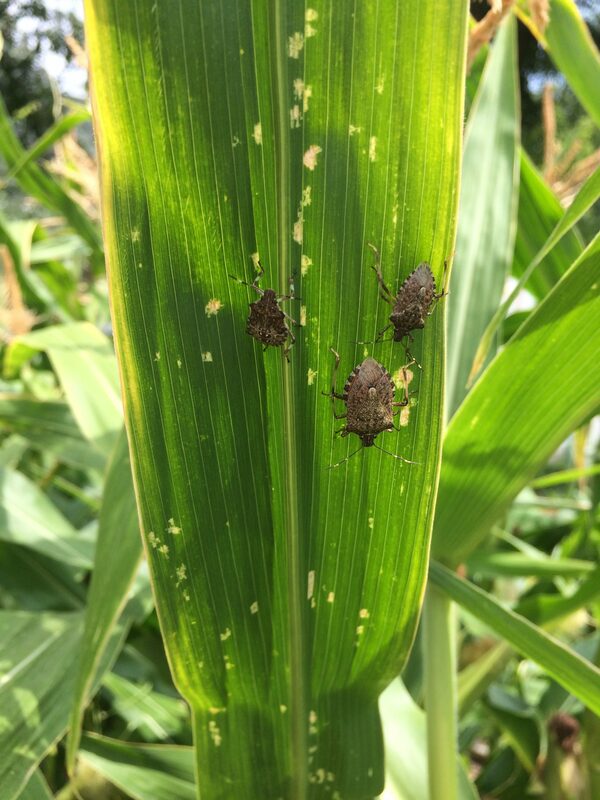 Brown marmorated stink bug feeding damage has been confirmed, for the first time in Utah, on corn stems, leaves, and husks. 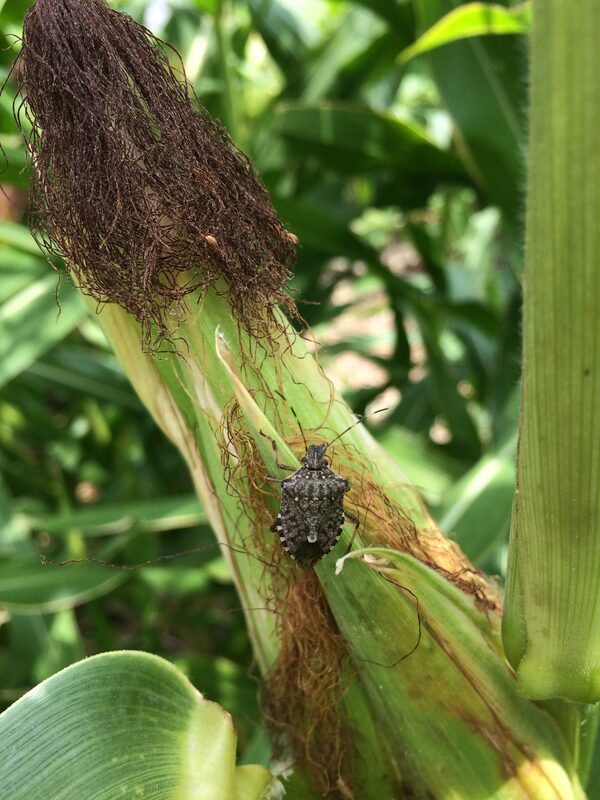 Two days ago, high numbers of brown marmorated stink bug (BMSB) adults and nymphs were detected in corn (red, hard-kerneled corn, not sweet corn) in a Salt Lake City garden. 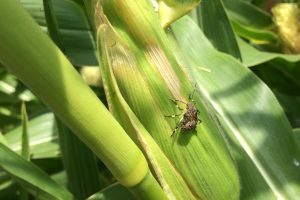 Feeding damage was present on the corn stems, leaves, and husks. 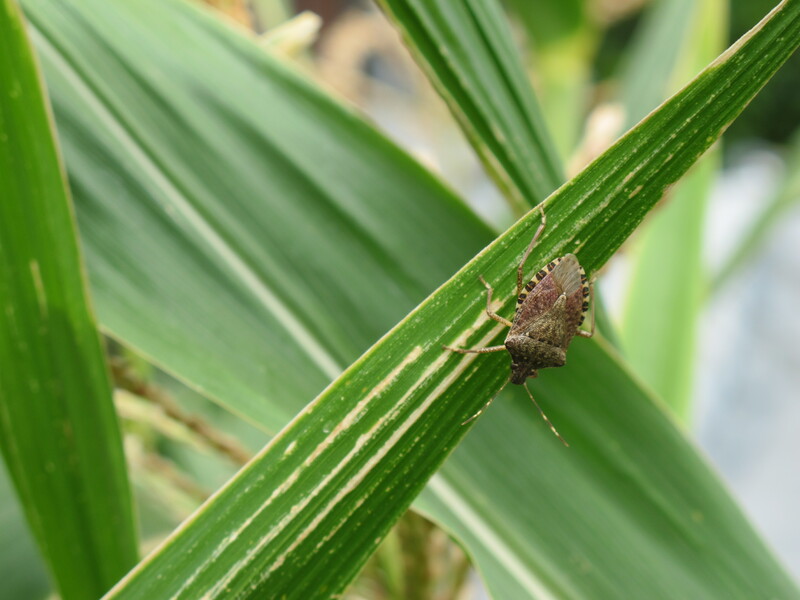 This is the first confirmed observation of plant feeding damage caused by brown marmorated stink bug in Utah. 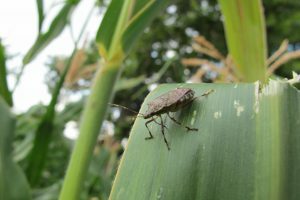 Some BMSB adults and nymphs were also seen on nearby squash leaves, but numbers were much lower than in the corn and no feeding damage was detected. 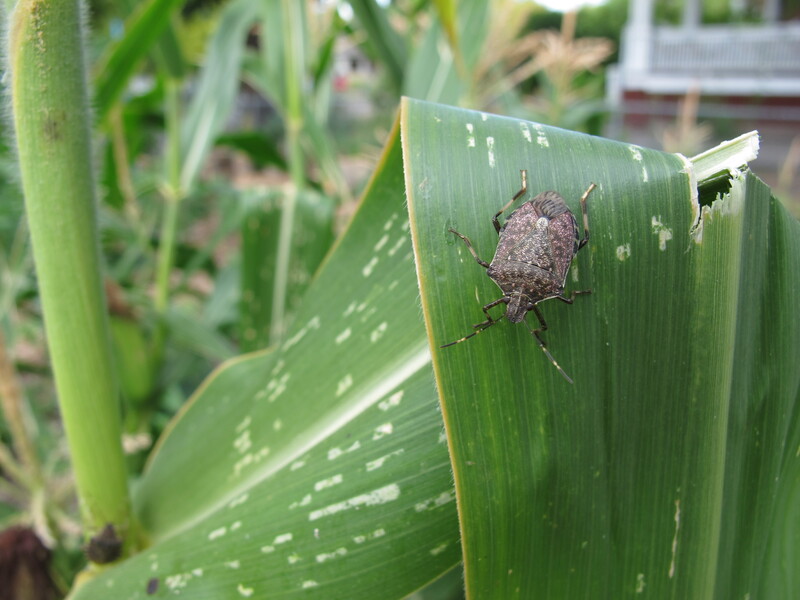 The BMSB damage observed shows as yellow-tan streaks and spots (see photos above). BMSB frequently switches between host plants. In vegetables, high densities can be found in sweet corn and edible soybean (edamame) during kernel (or seed) development periods. Preferred plants for the majority of the season and reproduction include okra and bell pepper. Green bean, tomato, and eggplant also support BMSB reproduction. 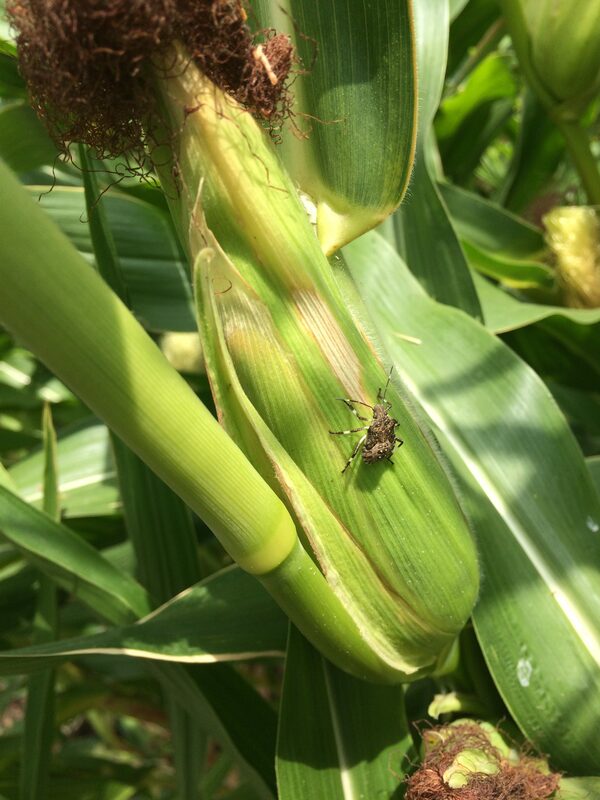 Sweet corn, green bean, bell pepper, and tomato are very susceptible to feeding injury and typically experience higher injury rates from BMSB than eggplant or okra. Asparagus and Swiss chard may be regularly attacked by BMSB. 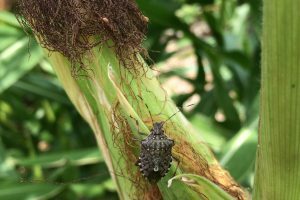 BMSB only feed minorly on cucurbits and brassica vegetables. 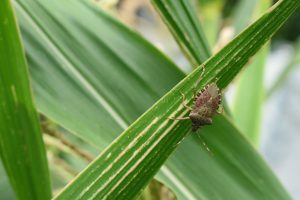 Leafy vegetables, root, and tuber vegetables such as potatoes, and onions are not at risk to this pest. 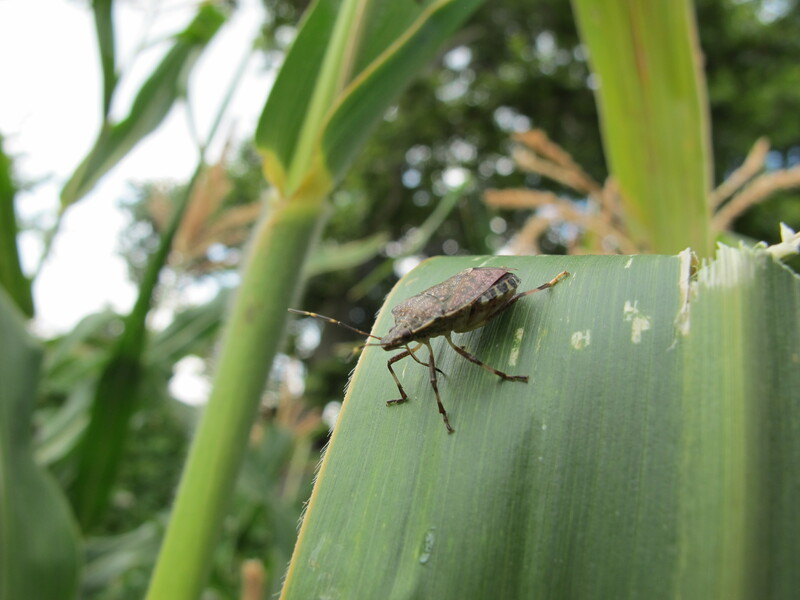 Effective monitoring efforts should provide early warning of infestations to prevent significant crop loss. Monitor weekly for BMSB presence. 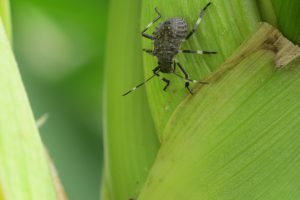 They tend to prefer borders of crops and are likely to be seen close to major roads or highways and residential or commercial areas. 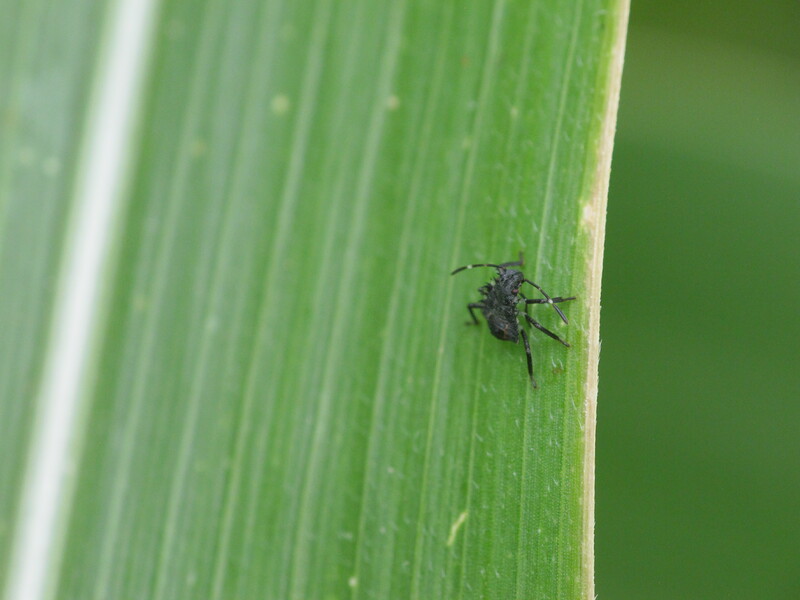 BMSB can be monitored via traps and lures or visual observation. 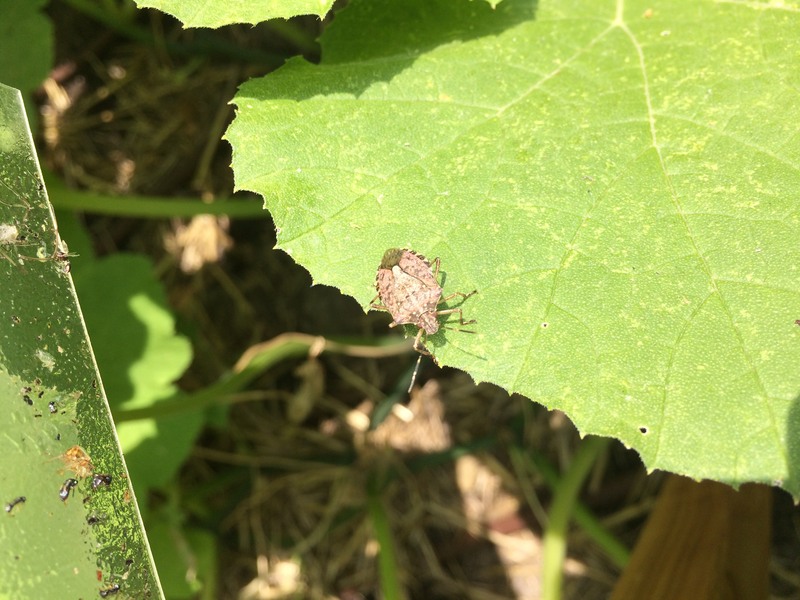 Learn more about vegetable management and prevention options in this Integrated Pest Management for Brown Marmorated Stink Bug in Vegetables fact sheet and the recent Utah Pests Brown Marmorated Stink Bug fact sheet. Insecticides tables labeled for BMSB control in fruits can be found in the Invasive Fruit Pest guide starting on pg. 53. Some of the listed pesticides may also be registered for vegetables. 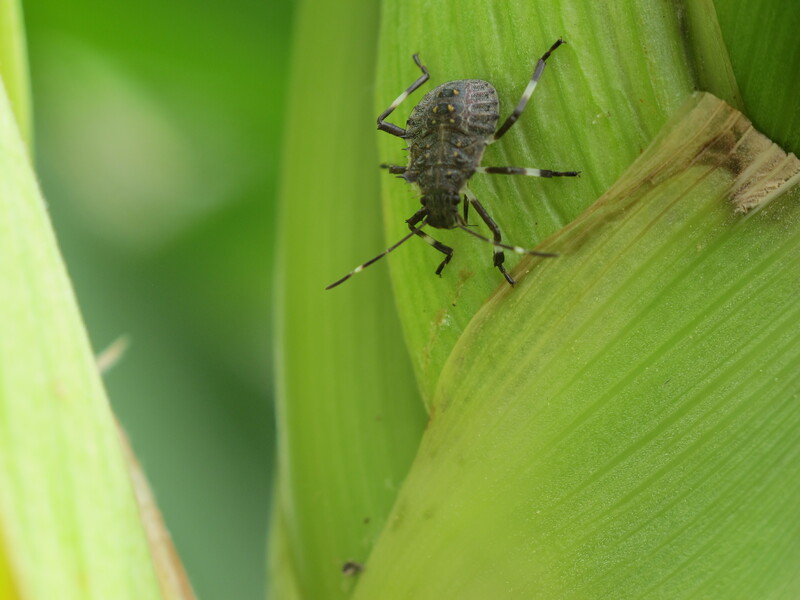 Always read, understand, and follow the label directions before using any pesticide. 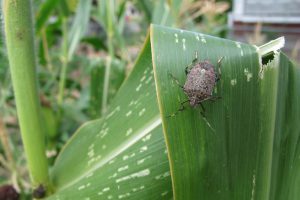 Also make sure that the product selected is labeled for use against stink bugs on the crop of interest. 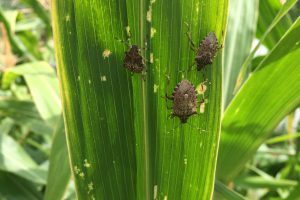 It is important to know BMSB characteristics and look-alike insects for proper identification. 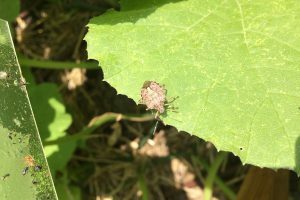 Please report any BMSB sightings here.